What data is provided by your product? 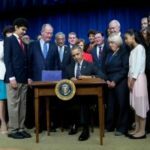 In addition to ESSA’s general push for more ed tech integration, the law calls for the Institute of Education Sciences to conduct a study on the use of digital learning resources outside of the classroom. As researchers explore the digital learning habits of students, they will pay attention to the types of data states and districts need to select the best tools. For example, educators like to know whether students are actually logging on to digital learning resources and if so, what they are doing on the program. If your product already provides such information, be sure to highlight this capability to current and potential customers. Continue to ask your team what data your product provides that makes it worth purchasing, and if they can increase its functionality. What is the student experience of your product? 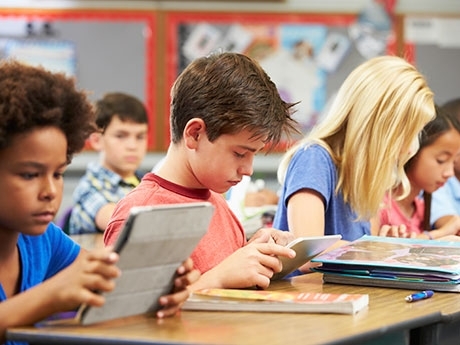 While today’s K-12 students are considered “digital natives,” shifting to digital learning is often more challenging for this generation than we’d expect. With ESSA’s focus on assessment technology infrastructure, it’s especially important to increase student comfort levels on digital learning platforms. Ed tech products need to attend to both student experiences and resources that will help teachers support students. Work with your team to share ways that your product prepares students for the digital shift in education. How does your product meet the new definitions of blended learning and digital learning? ESSA provides new definitions for blended learning and digital learning that provide an opportunity to rethink how your product fits within these terms. Blended learning, for example, is defined as instructional approaches in which students are provided some control over time, path or pace. Previous case studies and other materials can help your team brainstorm ways in which your product gives students control over time, path or pace. It’s a perfect time to distinguish what your product is really offering and does. What professional development opportunities do you provide? With ESSA’s support for ed tech focused professional development, the coming months are an ideal time to identify the professional development opportunities your company or organization provides. If professional development is bundled with your product, be sure to communicate that clearly. Your team also should address how professional development is delivered to the customer. Are educators trained through videos, walkthroughs or phone calls? Your team might consider as well how you address new users who enter a school during its second or third year implementing your product. With the entire 2016-17 school year to prepare for full implementation of ESSA, your team has plenty of time to work on refining professional development strategies. 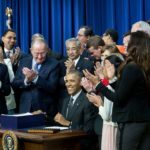 ESSA will bring a new education era forward. How will your team capitalize on the evolving K-12 environment?